Teams that work remotely and flexibly are proven to create significant productivity gains. This shift makes business far more agile. But it can be a challenge for organisations to develop a system that supports their employees to work anywhere, at any time, ensuring they operate effectively with access to important apps, data and systems. Clarion will see you safely through this whole process, implementing a Mobile Solution built around your company objectives. This culture shift brings huge positive outcomes: It enhances comms and creative collaboration with colleagues and clients. It reduces response times. It brings ideas and projects to fruition far more quickly. Increasingly employees need access to company information while they are on the move. Protecting that sensitive data outside of the office internal network needs attention and planning. A single phone number for seamless communication, switching between devices, allowing system features on your mobile phone – and at the same time offering substantial cost benefits. Let us unify your fixed and mobile systems. We offer a range of public and private wifi solutions to best suit your customers and teams. Users have high expectations of secure and reliable wifi. We help you scope and achieve that, alongside a high quality offering of enhanced applications and analytics. 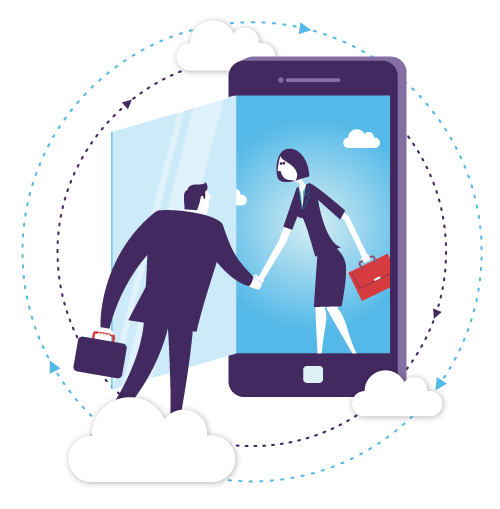 A company BYOD (Bring Your Own Device) policy can increase productivity, reduce capital outlay, improve your environmental footprint and radically enhance employee satisfaction. However it must be carefully adopted, to integrate work applications and, most importantly, maintain security.